The Peoples Commissariat for Internal Affairs (Народный комиссариат внутренних дел, Narodnyy Komissariat Vnutrennikh Del), abbreviated NKVD was the public and secret police organization of the Soviet Union that directly executed the rule of power of the 'All Union Communist Party', including political repression, during the era of Joseph Stalin. The NKVD contained the regular, public police force of the USSR, including traffic police, firefighting, border guards and archives. It is best known for the activities of the Gulag and the 'Main Directorate for State Security' (GUGB), the predecessor of the KGB). The NKVD conducted mass extrajudicial executions, ran the Gulag system of forced labor camps and suppressed underground resistance, and was also responsible for mass deportations of entire nationalities and Kulaks to unpopulated regions of the country. It was also tasked with protection of Soviet borders and espionage, which included political assassinations abroad, influencing foreign governments and enforcing Stalinist policy within communist movements in other countries. After the October Revolution of 1917, the Provisional Government dissolved the Tsar's police and created People's Militsiya. мили́ция - Militsiya or militia - is used as an official name of the civilian police in Soviet Russia, despite its original military connotation. The term was used in the Soviet Union. 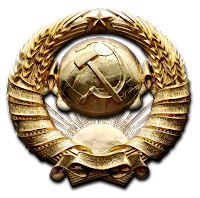 The name originates from a Provisional Government decree dated April 17, 1917, and from early Soviet history, when both the Provisional Government and the Bolsheviks intended to associate their new law enforcement authority with the self-organization of the people and to distinguish it from the czarist police. The militsiya was reaffirmed on October 28 (November 10, according to the new style dating), 1917 under the official name of the Workers' and Peasants' Militsiya, in further contrast to what the Bolsheviks called the "bourgeois class protecting" police. The October Revolution established a new Bolshevik regime, the Russian Soviet Federative Socialist Republic (RSFSR), and the Ministry of Internal Affairs (MVD) turned into NKVD under a People's Commissar, however, the NKVD apparatus was overwhelmed by duties inherited from MVD, such as the supervision of the local governments and firefighting, and the proletarian workforce of now Workers' and Peasants' Militsiya was largely inexperienced. Realizing that it was left with no capable security force, the Council of People's Commissars of the RSFSR created a secret political police, the 'Cheka', led by Felix Dzerzhinsky. Felix Edmundovich Dzerzhinsky ( Фе́ликс Эдму́ндович Дзержи́нский; 11 September [O.S. 30 August] 1877 – 20 July 1926) was a Soviet statesman and a prominent member of Polish and Russian revolutionary movements. He is better known under his nickname as the Iron Felix, Bloody Felix, or abbreviation FD. His party pseudonyms were Yatsek, Yakub, Pereplyotchik, Franek, Astronom, Yuzef, and Domanski. He was a member of several revolutionary committees such as the Polish Revkom as well as several Russian and Soviet official positions. 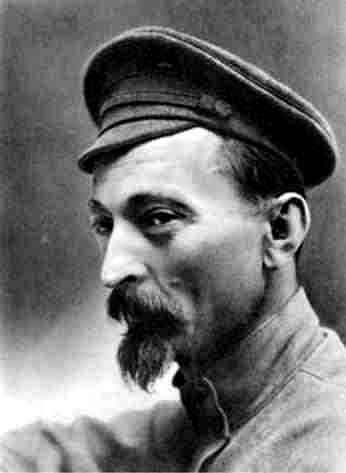 Dzerzhinsky is best known for establishing and developing the Soviet State Security forces under their original name Cheka (1917–26). Later he was a member of the Soviet government heading several commissariats, while being the chief of the Soviet secret police. Cheka became notorious for torture and mass summary executions, performed especially during the 'Red Terror' and the Russian Civil War. It gained the right to undertake quick non-judicial trials and executions, if that was deemed necessary in order to "protect the revolution". 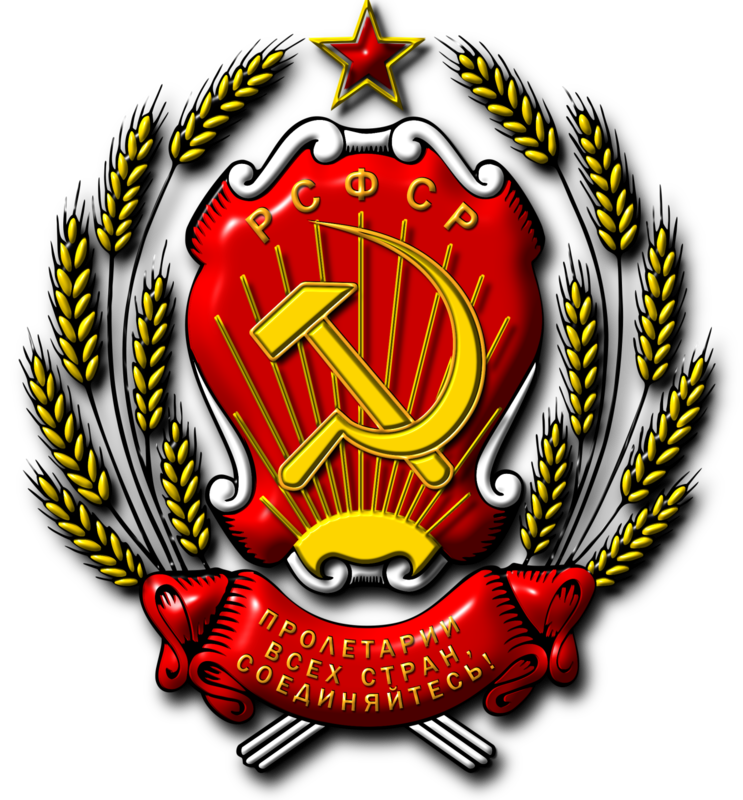 The Cheka was reorganized in 1922 as the State Political Directorate, or GPU, of the NKVD of the RSFSR. 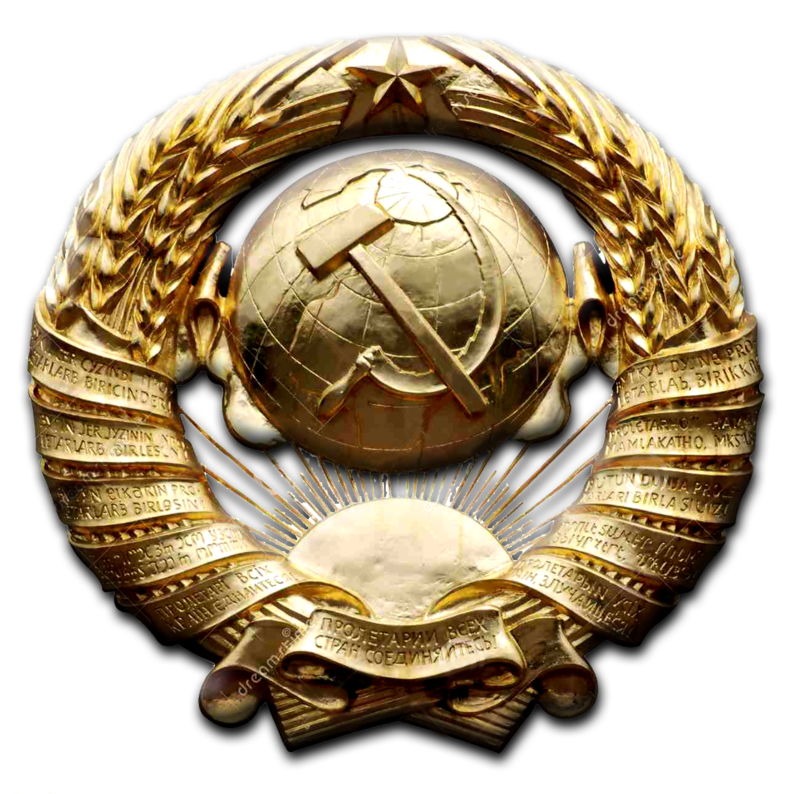 In 1923, the USSR was formed with the RSFSR as its largest member. 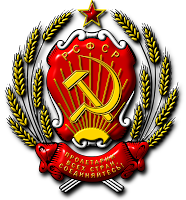 The GPU became the OGPU (Joint State Political Directorate), under the Council of People's Commissars of the USSR. 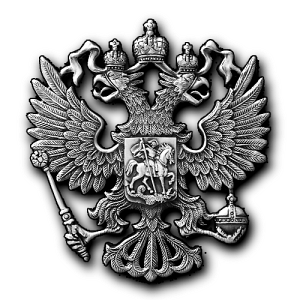 The NKVD of the RSFSR retained control of the militsiya, and various other responsibilities. 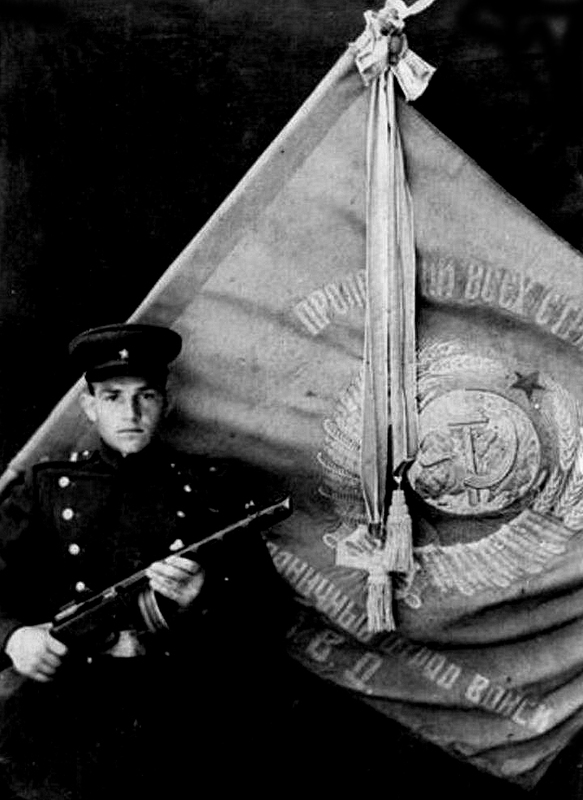 In 1934, the NKVD of the RSFSR was transformed into an all-union security force, the NKVD of the USSR (which the Communist Party of the Soviet Union leaders soon came to call "the leading detachment of our party"), and the OGPU was incorporated into the NKVD as the Main Directorate for State Security (GUGB); the separate NKVD of the RSFSR was not resurrected until 1946 (as the MVD of the RSFSR). As a result, the NKVD also became responsible for all detention facilities (including the forced labor camps, known as the GULag) as well as for the regular police. Until the reorganization begun by Nikolai Yezhov with a purge of the regional political police in the autumn of 1936 and formalized by a May 1939 directive of the All-Union NKVD by which all appointments to the local political police were controlled from the center, there was frequent tension between centralized control of local units and the collusion of those units with local and regional party elements, frequently resulting in the thwarting of Moscow's plans. Since its creation in 1934, the NKVD of the USSR underwent many organizational changes; between 1938 and 1939 alone, the NKVD's structure changed three times. On February 3, 1941, the Special Sections of the NKVD responsible for military counterintelligence (CI) became part of the Army and Navy (RKKA and RKKF, respectively). The GUGB was separated from the NKVD and renamed the "People's Commissariat for State Security" (NKGB). After the German invasion, the NKVD and NKGB were reunited on 20 July 1941. The CI sections were returned to the NKVD in January 1942. 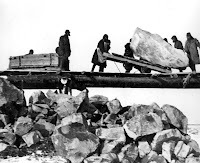 In April 1943, the CI sections were again transferred to the People's Commissariats (Narkomat) of Defense and the Navy, becoming SMERSH (from Smert' Shpionam or "Death to Spies"); at the same time, the NKVD was again separated from the NKGB. In 1946, all Soviet Commissariats were renamed "ministries". Accordingly, the NKVD of the USSR was renamed as the Ministry of Internal Affairs (MVD), while the NKGB was renamed as the Ministry of State Security (MGB). According to a 1996 radio documentary by the Russian Service of Radio Liberty, the MGB was reduced from being a ministry to a committee because Soviet leaders feared what the MGB might do if the purges were to resume. In 1953, after the arrest of Lavrenty Beria, the MGB was merged back into the MVD. 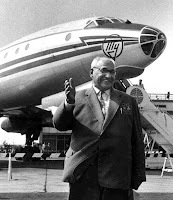 Лавре́нтий Па́влович Бе́рия - Lavrentiy Pavlovich Beria (Lavrenti Pavles dze Beria; - 29 March 1899 – 23 December 1953) was a Soviet politician, Marshal of the Soviet Union and state security administrator, chief of the Soviet security and secret police apparatus (NKVD) under Joseph Stalin during World War II, and Deputy Premier in the postwar years (1946–1953). Beria was the longest lived and most influential of Stalin's secret police chiefs, wielding his most substantial influence during and after World War II. 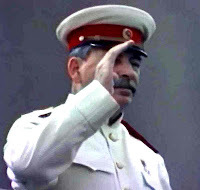 He simultaneously administered vast sections of the Soviet state and served as de facto Marshal of the Soviet Union in command of the NKVD field units responsible for anti-partisan operations on the Eastern Front during World War II. 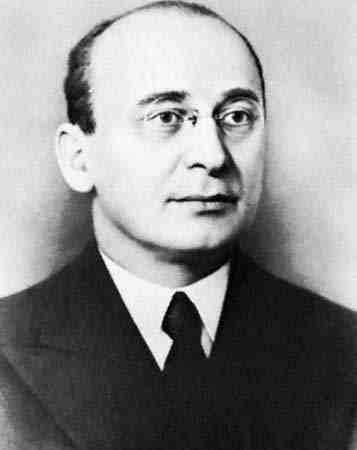 Beria administered the vast expansion of the Gulag labor camps and was primarily responsible for overseeing the secret defense institutions known as sharashkas, critical to the war effort. шара́жка - Sharashka - was an informal name for secret research and development laboratories in the Soviet Gulag labor camp system. The official name was ОКБ that is Опытное конструкторское бюро that can be translated as "Experimental Design Bureau". The scientists and engineers at a sharashka were prisoners picked from various camps and prisons and assigned to work on scientific and technological problems for the state. Living conditions were usually much better than in an average taiga camp, especially bearing in mind the absence of hard labor. The results of the research in sharashkas were usually published under the names of prominent Soviet scientists without credit given to the real authors, whose names frequently have been forgotten. Some of the brilliant scientists and engineers imprisoned in sharashkas were released during and after World War II, continuing independent careers and becoming world-famous, such as Léon Theremin. He also played the decisive role in coordinating the Soviet partisans, developing an impressive intelligence and sabotage network behind German lines. He attended the Yalta Conference with Stalin, who introduced him to U.S. President Franklin D. Roosevelt as "our Himmler". After the war, he organized the communist takeover of the countries of Central Europe and Eastern Europe. 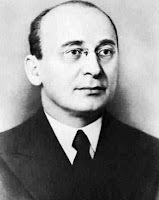 Beria's uncompromising ruthlessness in his duties and skill at producing results culminated in his success in overseeing the Soviet atomic bomb project. Stalin gave it absolute priority and the project was completed in under five years in no small part due to Soviet espionage against the West organized by Beria's NKVD. On 26 June 1953, after Stalin's death, Beria was arrested, and condemmned to death for treason. The 'USSR Ministry of Internal Affairs' (MVD), responsible for the criminal militia and correctional facilities. 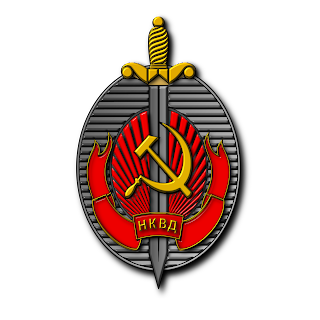 The 'USSR Committee for State Security' (KGB), responsible for the political police, intelligence, counter-intelligence, personal protection of the leadership, and confidential communications. 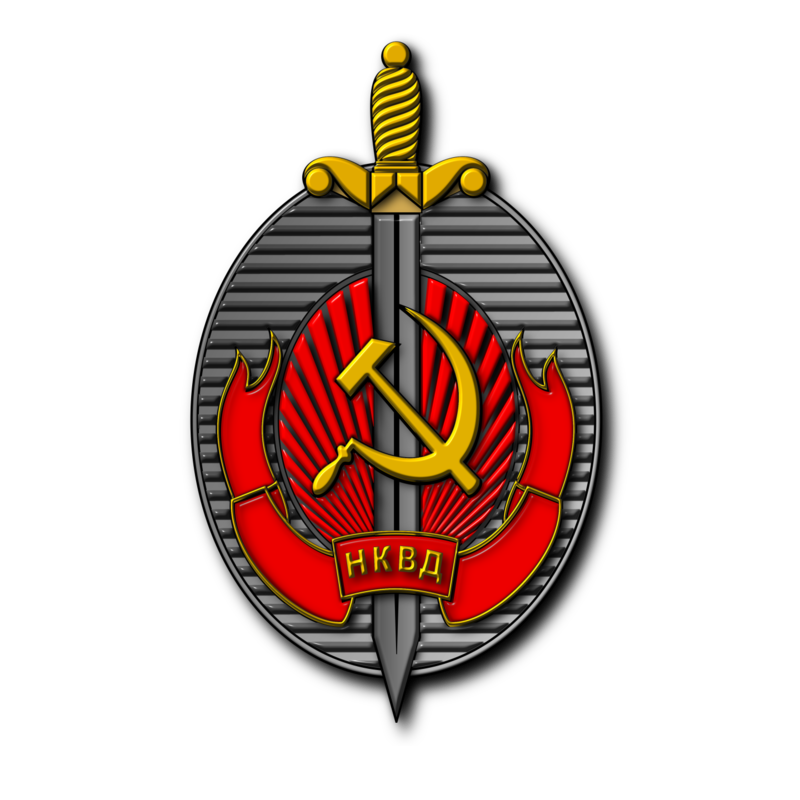 The main function of the NKVD was to protect the state security of the Soviet Union. This function was successfully accomplished through massive political repression, including the use of sanctioned political murders and assassinations. In implementing Soviet internal policy with respect to perceived enemies of the state ("enemies of the people"), untold multitudes of people were sent to GULAG camps and hundreds of thousands were executed by the NKVD. Formally, most of these people were convicted by NKVD troikas ("triplets")– special courts martial. Evidential standards were very low: a tip-off by an anonymous informer was considered sufficient grounds for arrest. Use of "physical means of persuasion" (torture) was sanctioned by a special decree of the state, which opened the door to numerous abuses, documented in recollections of victims and members of the NKVD itself. Hundreds of mass graves resulting from such operations were later discovered throughout the country. Documented evidence exists that the NKVD committed mass extrajudicial executions, guided by secret "plans". Those plans established the number and proportion of victims (officially "public enemies") in a given region (e.g. the quotas for clergy, former nobles etc., regardless of identity). The families of the repressed, including children, were also automatically repressed according to NKVD Order no. 00486. The purges were organized in a number of waves according to the decisions of the 'Politburo of the Communist Party'. Some examples are the campaigns among engineers (Shakhty Trial), party and military elite plots ('Great Purge' with Order 00447), and medical staff ("Doctors' Plot"). A number of mass operations of the NKVD were related to the prosecution of whole ethnic categories. Whole populations of certain ethnicities were forcibly resettled. Foreigners living in the Soviet Union were given particular attention. When disillusioned American citizens living in the Soviet Union thronged the gates of the U.S. embassy in Moscow to plead for new U.S. passports to leave USSR (Stalin had taken their original U.S. passports for 'registration' purposes years before), none were issued. Instead, the NKVD promptly arrested all of the Americans, who were taken to Lubyanka Prison and later shot. American factory workers at the Soviet Ford GAZ plant, suspected by Stalin of being 'poisoned' by Western influences, were dragged off with the others to Lubyanka by the NKVD in the very same Ford Model A cars they had helped build, where they were tortured; nearly all were executed or died in labor camps. Many of the slain Americans were dumped in the mass grave at Yuzhnoye Butovo District near Moscow. Even so, ethnic Russians still formed the majority of NKVD victims. The NKVD also served as the Soviet government's arm for the lethal persecution of Judaism, the Russian Orthodox Church, the Greek Catholics, the Latin Catholics, Islam and other religious organizations, an operation headed by Yevgeny Tuchkov. During the 1930s, the NKVD was responsible for political murders of those Stalin believed to oppose him. Espionage networks headed by experienced multilingual NKVD officers such as Iskhak Akhmerov were established in nearly every major Western country, including the United States. The NKVD recruited agents for its espionage efforts from all walks of life, from unemployed intellectuals such as Mark Zborowski to aristocrats such as Martha Dodd. Besides the gathering of intelligence, these networks provided organizational assistance for so-called wet business, where disillusioned Communist party members or Soviet agents such as Juliet Stuart Poyntz either disappeared or were openly liquidated. The pro Soviet leader Sheng Shicai in Xinjiang received NKVD assistance in conducting a purge to coincide with Stalin's 'Great Purge' in 1937. Sheng and the Soviets alleged a massive Trotskyist conspiracy and a "Fascist Trotskyite plot" to destroy the Soviet Union. The Soviet Consul General Garegin Apresoff, General Ma Hushan, Ma Shaowu, Mahmud Sijan, the official leader of the Xinjiang province Huang Han-chang and Hoja-Niyaz were among the 435 alleged conspirators in the plot. Xinjiang became under virtual Soviet control. Stalin opposed the Chinese Communist Party. 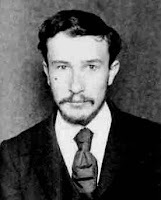 Бори́с Ви́кторович Са́винков - Boris Viktorovich Savinkov (Russian: ) (19 January 1879 – 7 May 1925) was a Russian writer and revolutionary terrorist. As one of the leaders of the Fighting Organisation of the Socialist Revolutionary Party, he was responsible for the most spectacular assassinations of imperial officials in 1904 and 1905. Later, he became Assistant War Minister in the Provisional Government. Savinkov emigrated in 1920, but in 1924 he made an endeavour to return to Russia, was arrested and either was killed in prison or committed suicide. 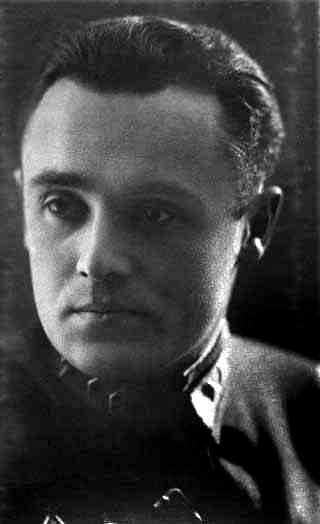 Yevhen Konovalets, prominent Ukrainian political and military leader. Many other prominent political dissidents were either kidnapped and forcibly returned to the Soviet Union or were found dead under highly suspicious circumstances, including Alexander Kutepov, General Evgeny Miller, Lev Sedov, and former German Communist Party (KPD) member Willi Münzenberg. During the Spanish Civil War, NKVD agents, acting in conjunction with the Communist Party of Spain, exercised substantial control over the Republican government, using Soviet military aid to help further Soviet influence. The NKVD established numerous secret prisons around Madrid, which were used to detain, torture, and kill hundreds of the NKVD's enemies, at first focusing on Spanish Nationalists and Spanish Catholics, while from late 1938 increasingly anarchists and Trotskyists were the objects of persecution. In June, 1937 Andrés Nin, the secretary of the anti-Stalinist Marxist POUM, was tortured and killed in an NKVD prison. Prior to the German invasion, in order to accomplish its own goals, the NKVD was prepared to cooperate even with such organizations as the German Gestapo. In March 1940 representatives of the NKVD and the Gestapo met for one week in Zakopane, to coordinate the pacification of Poland. For its part, the Soviet Union delivered hundreds of German and Austrian Communists to the Gestapo, as unwanted foreigners, together with their documents, however, some NKVD units were later to fight the Wehrmacht, for example the 10th NKVD Rifle Division, which fought at the Battle of Stalingrad. During World War II, NKVD units were used for rear area security, including the deterrence of desertion. At the beginning of the war the NKVD formed 15 rifle divisions, which had expanded by 1945 to 53 divisions and 28 brigades. Though mainly intended for internal security, NKVD divisions were sometimes used in the front-lines, for example during the Battle of Stalingrad and the breakthrough in Crimea. Unlike the Waffen-SS, the NKVD did not field any armored or mechanized units. In liberated territory the NKVD and (later) NKGB carried out mass arrests, deportations, and executions. The targets included both collaborators with Germany and non-Communist resistance movements such as the Polish Armia Krajowa. The NKVD also executed tens of thousands of Polish political prisoners in 1939–1941, inter alia committing Katyń massacre. NKVD units were also used to wage the prolonged partisan war in Ukraine and the Baltics, which lasted until the early 1950s. After the death of Stalin in 1953, the new Soviet leader Nikita Khrushchev halted the NKVD purges. 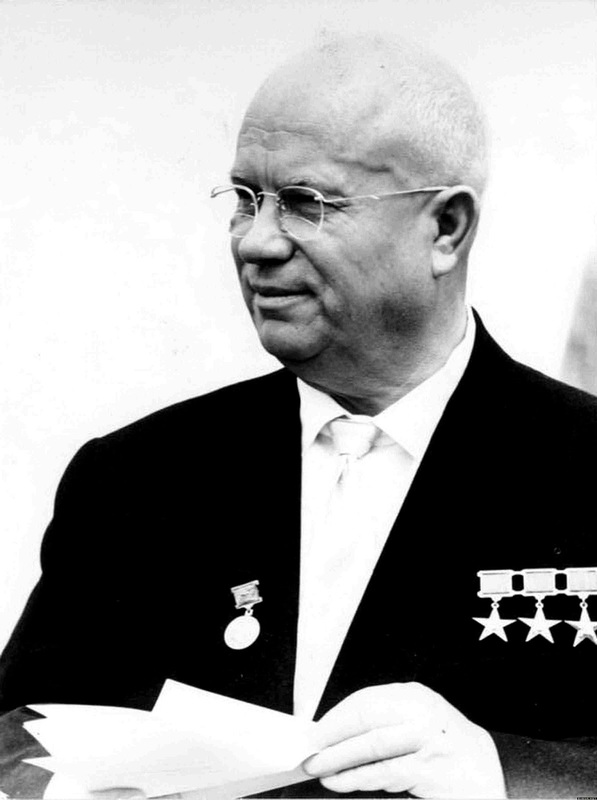 Nikita Sergeyevich Khrushchev (April 15 [O.S. April 3] 1894 – September 11, 1971) led the Soviet Union during part of the Cold War. He served as First Secretary of the Communist Party of the Soviet Union from 1953 to 1964, and as Chairman of the Council of Ministers, or Premier, from 1958 to 1964. Khrushchev was responsible for the partial 'de-Stalinization' of the Soviet Union, for backing the progress of the early Soviet space program, and for several relatively liberal reforms in areas of domestic policy. Khrushchev's party colleagues removed him from power in 1964, replacing him with Leonid Brezhnev as First Secretary and Alexei Kosygin as Premier. From the 1950s to the 1980s, thousands of victims were legally "rehabilitated" (i.e., acquitted and had their rights restored). Many of the victims and their relatives refused to apply for rehabilitation out of fear or lack of documents. The rehabilitation was not complete: in most cases the formulation was "due to lack of evidence of the case of crime", a Soviet legal jargon that effectively said "there was a crime, but unfortunately we cannot prove it". Only a limited number of persons were rehabilitated with the formulation "cleared of all charges". Very few NKVD agents were ever officially convicted of the particular violation of anyone's rights. Legally, those agents executed in the 1930s were also "purged" without legitimate criminal investigations and court decisions. At present, living former agents retain generous pensions and privileges established by the USSR and later confirmed by all of the member countries of the Commonwealth of Independent States. 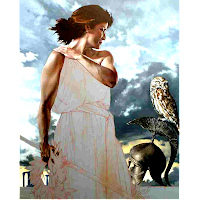 They have not been prosecuted in any way, although some have been identified by their victims. 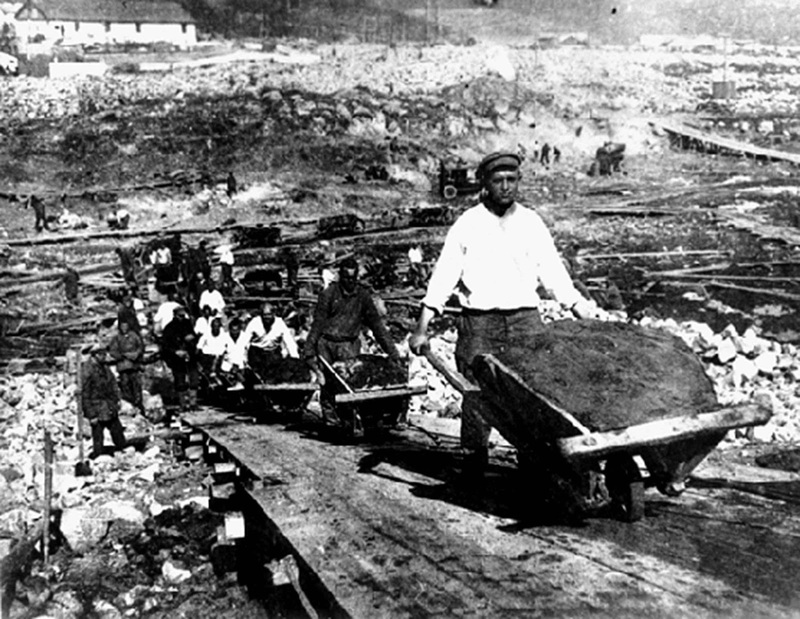 The extensive system of labor exploitation in the Gulag made a notable contribution to the Soviet economy and the development of remote areas. 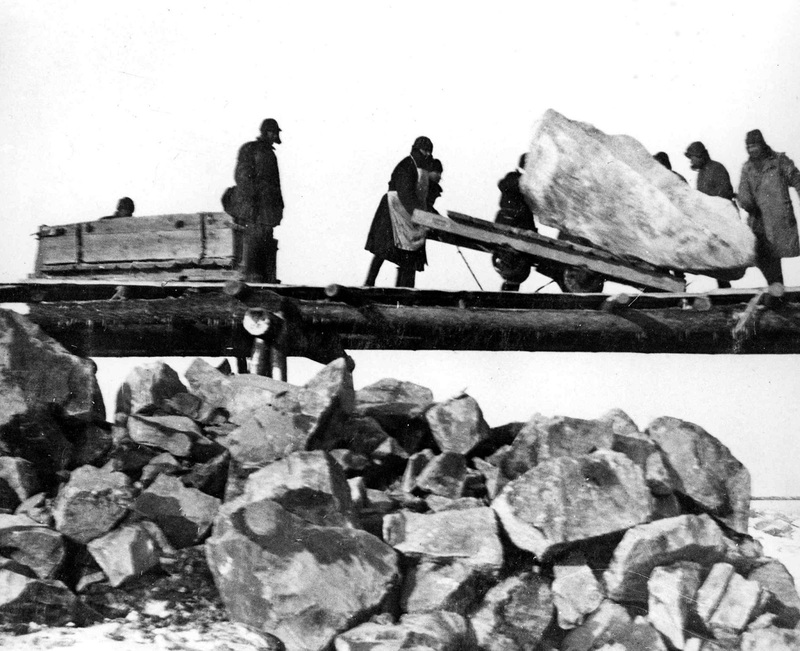 Colonization of Siberia, the North and Far East was among the explicitly stated goals in the very first laws concerning Soviet labor camps. 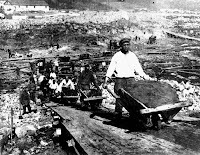 Mining, construction works (roads, railways, canals, dams, and factories), logging, and other functions of the labor camps were part of the Soviet planned economy, and the NKVD had its own production plans. The most unusual part of the NKVD's achievements was its role in Soviet science and arms development. Many scientists and engineers arrested for political crimes were placed in special prisons, much more comfortable than the Gulag, colloquially known as 'sharashkas'. These prisoners continued their work in these prisons. When later released, some of them became world leaders in science and technology. Among such 'sharashka' members were Sergey Korolev, the head designer of the Soviet rocket program and first human space flight mission in 1961, and Andrei Tupolev, the famous airplane designer. Aleksandr Solzhenitsyn was also imprisoned in a 'sharashka', and based his novel 'The First Circle' on his experiences there. After World War II, the NKVD coordinated work on Soviet nuclear weaponry, under the direction of General Pavel Sudoplatov. The scientists were not prisoners, but the project was supervised by the NKVD because of its great importance, and the corresponding requirement for absolute security and secrecy. Also, the project used information obtained by the NKVD from the United States.